Lily Winter's wings are folded so tightly around her daughter that when empty nest arrives, she feels she can no longer fly. But Lily's lonely, widowed life changes in a heartbeat when she goes to visit a woman who is almost a stranger to her-a woman who also happens to be her mother. During their fiery reunion, her mother reveals a dark family secret that she'd been hiding for decades-Lily has an identical twin sister who was put up for adoption when they were just babies. Without looking back, Lily-with her fear of flying-boards a jumbo jet and embarks on a quest to find her sister which leads half way around the world to Melbourne, Australia. Befriended by imprudent Ausie, he might prove to be the key to finding her sister. But her journey becomes a circle that leads her back home to attempt a family reunion and to find the one dream she no longer imagined possible-the chance to fall in love again. 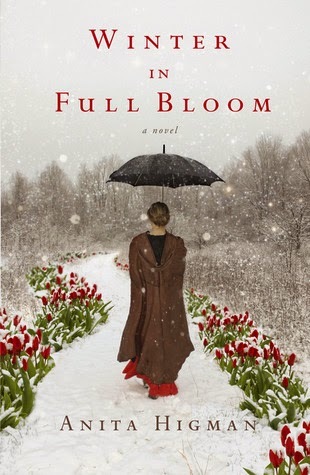 WINTER IN FULL BLOOM didn’t appeal to me based on the back cover blurb. The cover didn’t grab me either. So if you are someone who judges a book by the cover or by the backcover blurb (as must of us are) don’t! This book is so much more than it seems. It gripped me from the very first page. A very dysfunctional family—a long lost twin, a man who seems to answer all Lily’s prayers but he has is own pain to work through. Realistic characters that breathe in the pages of this book. A flutist. A painful hurt resolved… and trust restored. Beautiful story. I loved it. 5 stars. Available in ebook and paperback. 305 pages. A Father’s Love is a level two I Can Read! based on the NIV Adventure Bible. In it, young readers learn about how great a father’s love can be for his child. At this read-alone level, newly independent readers follow a young man who decides to go out on his own, with his inheritance. He wastes his money and makes bad choices but eventually realizes that home and family are more important than anything. When he goes home to make amends, his father welcomes his son home with open arms and joy. Written for the newly independent reader, vocabulary and content is at a more advanced reading level, making this series appropriate for children almost ready for their first chapter books. This I Can Read! series of Bible stories makes use of the unique features found in the NIV Adventure Bible such as “People in Bible Times” and “Words to Treasure”. Content aligns with the Common Core Standards for informational reading. 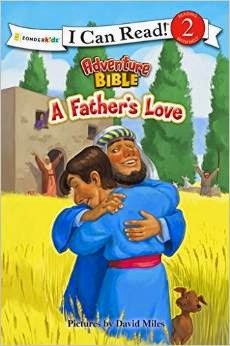 ADVENTURE BIBLE: A FATHER’S LOVE book is perfect for early readers (ages 4 – 8). Ones that might struggle a bit or feel a bit overwhelmed with the “thickness” of chapter books but they are almost ready for them. My daughter and I enjoyed the simplicity of the story, the way it was written at a child’s reading level, and the pictures were engaging. It was a nice retelling of “The Prodigal Son” and showed a father’s love—even God’s love—unconditionally. Beautiful. 32 pages. Available in paperback. In this newest Berenstain Bears Living Lights 8x8 book, The Berenstain Bears and the Biggest Brag, Grizzly Gramps teaches Brother and Sister a valuable lesson about bragging and boasting. 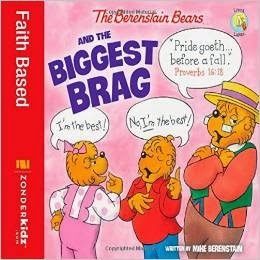 THE BERENSTAIN BEARS AND THE BIGGEST BRAG is perfect for early readers (ages 4 – 8). It’s also a good lesson for kids when they start bragging about what they can do and try to outdo others in their bragging. My daughter and I enjoyed the simplicity of the story, the way it was written at a child’s reading level, and the pictures were engaging. Focused around the verse “Pride goeth before a fall” it teaches children about the dangers about bragging and pride. 24 pages. Available in paperback and ebook. Life is a dream come true for Callie Roberts––until her worst nightmare ruins the fairy tale. A steamboat boiler explosion kills her parents, her older brother, and her beloved fiancé. It also deafens her younger brother and leaves Callie with a scar from cheek to chin, a haunting reminder of the tragedy for which she was partly responsible. To put the past behind her, she settles in Eagle Pass, Texas, and launches a business that takes off. The same is hardly true for the Neville family, whose nearby Lazy N Ranch is struggling. Micah volunteers to go to Lubbock for fresh seed, but his offer is not without an ulterior motive. A letter he mistakenly intercepted leads him to believe that his cousin Dan is in trouble. And Micah intends to set things right. It's a shock to everyone when Micah returns with not only the seed but also a baby boy in tow. But he'll do anything to protect Dan's honor, even if it means pretending to be the father. He can handle the gossip and glances just fine, until he meets Callie and learns the meaning of love at first sight. Will the misguided decisions these two have made keep them apart, or can they face the truth about each other–and themselves–and discover a love they never could have imagined? UNBRIDLED HOPE, book three in the Lone Star Legends series easily stands alone. I enjoyed getting to know Callie, Jonah, Micah, and his family and the other secondary characters. I didn’t appreciate Micah lying about the baby and the situations surrounding it, especially as he says he vows to always tell the truth. To me, he had no reason to lie. I know the back cover says to protect Dan’s honor, but he could’ve told the truth anyway, especially as there was no proof and the way the woman acted she may not have even been the real mother. 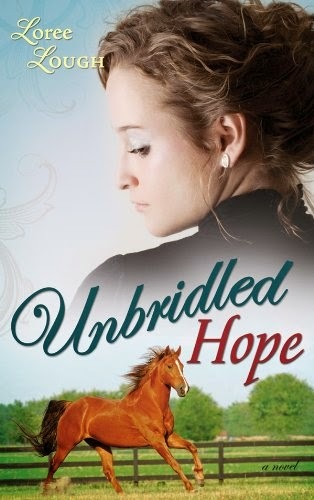 If you like historical romances set in Texas, or any book by Loree Lough, you will want to read UNBRIDLED HOPE. It is a typical formula historical at the beginning—the mandatory death(s) occurs—shoving the poor, unsuspecting heroine out into the big bad world alone. But Callie is up to the challenge and even thrives. This book came out several years ago but it is still available and will be a great historical romance to read while you are snowed in this winter. From bestselling author Lori Copeland, When Love Comes My Way is a love story about redemption, forgiveness, and renewed spiritual awakenings set against the backdrop of scenic Upper Peninsula, Michigan, in the days when pine was king. 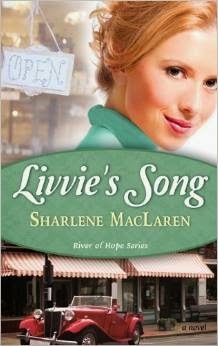 Michigan, 1873--As Tess Wakefield wakes from a frightening wagon accident, she discovers she has lost her memories. In her recovery, she loses her heart as well to handsome lumberjack Jake Lannigan. It's not a two-way street, though. Jake thinks he knows exactly who she is--the spoiled Wakefield Timber heir--but he believes the accident provides the means to show her that she has a responsibility to replant the trees and not to merely invest her inheritance opening another of her silly millinery shops. Then he slowly he begins to fall in love with her. Jake wants to tell Tess the truth, but before he can her true identity is uncovered, and then both of them find the emotional stakes too high. Will God intervene and show this headstrong couple that only He in His wisdom could have paired them together? 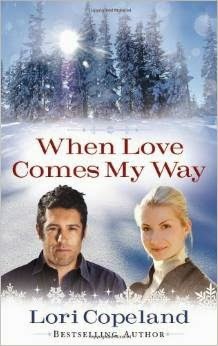 WHEN LOVE COMES MY WAY is a lumber camp story, set in Michigan, but it is totally different than the others. Tess Wakefield is a strong-willed individual, whether she is an unsuspecting teacher or an heiress and the camp is set on its ears. I loved this story all the way through to the end and then the ending ruined it for me. I won’t go into the details how or why, but I closed the book disappointed. It took the book from a 5 star book to a 4 star book, so it is still a positive review. I enjoyed getting to know the characters in this book – If you like historical romances set in the timber lands of Michigan, starring big brawny heroes, you should pick up WHEN LOVE COMES MY WAY. Available in ebook, hardcover, and paperback. 304 pages. Life is far from a breeze for Olivia Beckman, owner of Livvie's Kitchen, a favorite of locals in Wabash, Indiana. The widowed mother of two is struggling to make ends meet–no simple feat, especially when her cook turns in his resignation. Yet she's determined to pull through on her own, just as she did when God failed to save her beloved Frank. Newly released from a ten–year prison sentence, Will Taylor is ready for a fresh start. With harmonica in hand–the only possession he values, aside from his Bible–he makes his way to Wabash, where a late–night meal at Livvie's Kitchen turns into a job opportunity when the outgoing cook learns about his restaurant experience. What he doesn't know is that the "restaurant" was a prison cafeteria. But Will became a new man behind bars, thanks to a Christian friend, and he credits God's providence with landing him a job he loves. Soon, he cooks and bakes his way into the stomachs of his customers–and the heart of his employer. Both are hesitant, though, still healing from past hurts. A recipe for love between them will require sharing secrets, braving dangers, and believing God for a bright future. Livvie took some getting used to. She wasn’t very nice to Will, not at all, at first. She was in mourning for her husband (dead one year) and Will is fresh out of prison. He talks about telling the truth, but won’t tell anyone he was in prison. He lets them believe he worked in a restaurant. There are some bad guys wanting something they believe Will has, which adds some excitement to the story. Fairly predictable, but some twists. Slow moving, but does get better toward the end. 406 pages. Available in paperback and ebook. In this newest 8x8 soft cover title in the Berenstain Bears Living Lights collection, the Bruins join the Bear family for a cookout and bring their cousin Tommy along. It isn’t long before the cubs start up a game of baseball and Sister soon notices that Tommy doesn’t play like the rest of the group. When Sister asks about Tommy, Mama takes the opportunity to talk to Sister about how God makes each of us unique in our own way. And that we all have special gifts and talents to share with the folks around us. 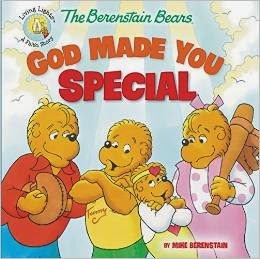 THE BERENSTAIN BEARS GOD MADE YOU SPECIAL is perfect for early readers (ages 4 – 8). It’s also a good lesson for kids when they notice that someone is different from them, maybe acts younger or maybe has a disability or learning disorder. My daughter and I enjoyed the simplicity of the story, the way it was written at a child’s reading level, and the pictures were engaging. Focused around the verse mentioned above, it teaches a valuable lesson about accepting others and getting along. 24 pages. Available in paperback. Miracle of Jesus is a level two I Can Read! based on the NIV Adventure Bible. In it, young readers read about how great God’s love is for all people. At this read-alone level, newly independent readers follow Jesus as he travels, spreading the Good News of his Father’s love. Along the way, Jesus shows in wondrous ways just how powerful God’s love is when he brings health back to a young girl and a long-suffering woman, and how he gives comfort to thousands of believers with a delicious meal as well as the precious word of God. This is a good Bible story book for a beginning reader who isn’t quite ready for chapter books—but almost is. 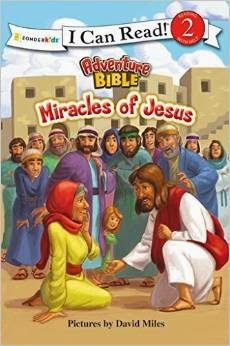 This one is about some of the miracles of Jesus, specifically about the healing of Jarius’ daughter and the feeding of five thousand with a few barley loaves and two small fish. My daughter enjoyed reading it. It did have a few advanced words that she stumbled over, but mostly it was at her reading level. Recommended. Young James, an earl’s son, is a bit bothersome and always asking the oddest questions. In despair—the last of James’ tutors having quit—his mother sends him off to be educated at Cranford Abbey. She feels the strict regimen will do him a world of good. But Cranford Abbey has its own problems. It has been falling into disrepair. The newly appointed Abbot Aelian takes it upon himself to save the abbey with the use of his secret weapon: a recipe for golden apple cider passed down in his family for many generations. He believes that by making and selling the cider, the monks will raise necessary funds to restore the abbey to its former glory. Abbot Aelian has everything he needs—almost. One obstacle stands in his way, unicorns that happen to feast specifically on the golden apples. Abbot Aelian and his men must fight off the unicorns to make the cider. He and the monks try to form a battalion to fight off the beasts; next they import heroes to fight for them. But the heroes run off, monks are injured, and a herd of ravenous unicorns continue munching. After no success, the abbot finally calls upon the most unlikely of heroes, one suggested by no other than young James. That hero is small and unprepossessing but possesses the skill to tame the beasts. Though wildly skeptical, Abbot Aelian must risk everything and believe in this recommended stranger or risk the fall of Cranford Abbey. 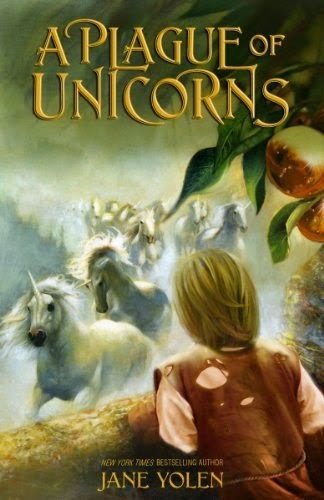 A PLAGUE OF UNICORNS is rather short but I liked it. I give it five stars. It held my interest all the way through and I couldn’t put it down. I read it in a few hours. I recommend this books for kids that are slow readers because its really short for avid readers. For ages 8 – 12. 192 pages. Hardcover and ebook. There is absolutely no substitute for the high-octane surge of God'’s full-on grace. It's irreplaceable! Can it really be that, as we navigate the high wire act of our busy lives, God's grace forms a quiet safety net beneath us? When we don't have the ability or even the drive to accomplish God's will for our lives, His grace is there. Or when we've chosen the wrong path, His grace is a heartbeat away to dust us off and show us the way home. In 100 upbeat and thought provoking devotions, the authors help us find truth in the middle of our crazy lives. Instead of putting our hope in good works, careers, the perfect family, or a double shot of espresso, they remind us to rely on God's supply of grace that never runs dry. 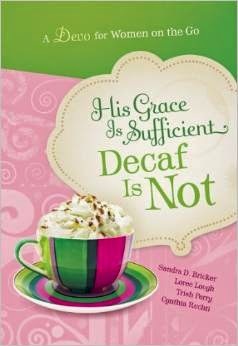 HIS GRACE IS SUFFICIENT…DECAF IS NOT is a great devotional for women on the go. I absolutely love the colorful cover, with a lovely cup of coffee covered in whipped cream and sprinkles. So appealing and cute. And cute is the flavor of the devotions as well. They start with a verse, then are followed by an upbeat devotion, and are followed by a prayer. Short and easy to read, these would be idea in your desk drawer, in your vehicle, beside your bed or where ever you read devotions. A great stocking stuffer for busy women this holiday season (or any time.) Available in hardcover. 208 pages. 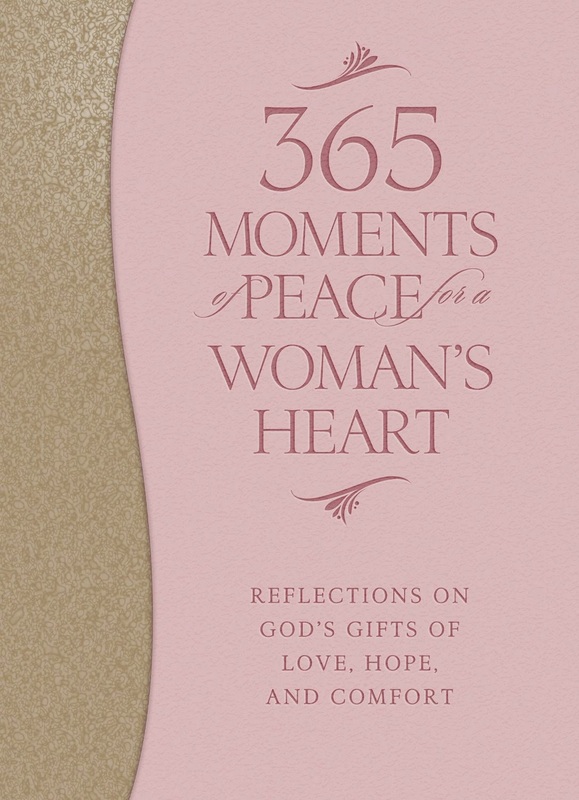 365 Moments of Peace for a Woman's Heart offers inspiring psalms and meditations to calm and comfort you throughout your day. In these pages you'll . . .
365 MOMENTS OF PACE FOR A WOMAN’S HEART is an easy read, but there's nothing unique about this devotional. The devotions are all fairly generic, and, none of the devotions I read had a profound impact. The readings are all collected from previously published devotionals. There isn't any flow from one day to the next, and it feels like it's written more from a textbook than from an inspiring hunger for God. A good devotional for women on the go. The cover is a nice-understated shade of pink with a sandy colored binding. Each devotional starts with a verse, a paragraph or two devotion, and a prayer. Short and easy to read, these would be ideal in your desk drawer, in your vehicle, beside your bed or where ever you read devotions. A great stocking stuffer for busy women this holiday season (or any time.) Available in ebook and hardcover. 400 pages. John Quincy Adams owned a pet alligator? Ulysses S. Grant received a ticket for riding his horse too fast down the streets of Washington, D.C.? Gerald R. Ford briefly worked as a fashion model? You are invited on a totally unique journey through presidential history with Juliette Turner, the National Youth Director of Constituting America. Through fun cartoons, quotes, great graphics, and Juliette’s quirky sense of humor, you’ll discover tons of fun new facts about the presidents of the United States and the role of the executive branch. These aren’t just a bunch of old men in suits! Many of them were ordinary people like you who overcame trials in order to become America’s leader, and all of them entered the political arena with the goal of protecting the country they loved. Written for kids by a kid, Juliette’s passion and excitement breathes new life into American history and the role of one of the most powerful positions in the world. 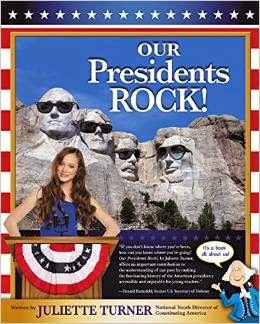 OUR PRESIDENTS ROCK! is a wonderful history book about our presidents. It includes terms in office, nicknames, fast facts, what he stood for and what he accomplished. It also includes his daily schedule, his history (before presidency), his personality, a timeline, top news events and much more. We enjoyed working through it as part of our homeschooling and learning about our presidents, but it is also excellent for Christian schools, libraries, and anyone interested in presidential history. Highly recommended. Written by a kid for kids, for ages 8 – 12 but perfect for any age. Available in paperback. 320 pages. 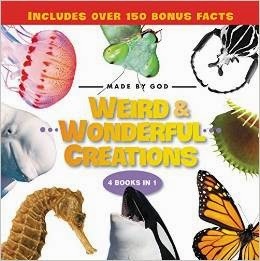 Weird and Wonderful Creations is a bind up of the nonfiction Made By God series. With photos and facts showing children the wonders of God’s creation, this collection includes four complete early reader titles as well as over 200 additional facts throughout the book. Some of the creatures featured include whales, tarantulas, bats, sea turtles, and more. All facts align with the Common Core Standards for informational reading for young readers. For older kids, I would’ve liked to have seen more information or to have the four individual books expanded so they could. Like seahorses, there are over six hundred kinds, but the pictures shown aren’t labeled what kind they are. They are just seahorses, That would’ve been interesting to know what kinds were pictured. For children who are interested in WEIRD AND WONDERFUL CREATIONS God made, this would be a great book, for a gift, for homeschooling (toddlers, preschoolers or beginning elementary). I'm working to save a North Korean refugee. You can too! Torn Asunder is the newest suspense novel from award-winning author Alana Terry. Torn Asunder is the story of Hannah and Simon, two North Korean refugees who sneak back into their country to serve as underground missionaries. In this world of spies, secret police, and informants, Simon and Hannah learn that staying together won't just compromise their ministry. It could cost them both their lives. 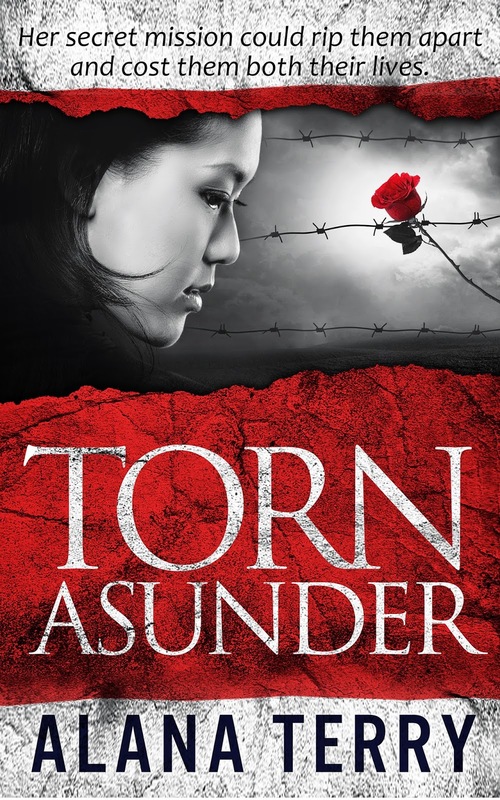 Torn Asunder launches today for just 99 cents, and all book sale proceeds today support the work of Liberty in North Korea, an organization that runs an underground railroad for North Korean refugees. You can get the paperback or the ebook for 99 cents for a limited time only. And remember the best news ~ Your purchase will help save a North Korean refugee! Simon tried to swallow. His whole jaw was swollen from his scuffle in the woods. He shut his eyes and hoped the general couldn’t feel him tremble. General Sin chuckled to himself. “Silly me. I forgot.” He slid the device off Simon’s finger. “This kind of tool won’t work on a big, strong man like you.” He strode over to Hannah and yanked her hand before Simon could even cry out. He jammed her ring finger into the opening. Simon’s field of vision blurred over. He wanted to scream. The metal from his handcuffs sliced open his wrists. He pictured himself breaking free and tackling the general to the ground. Hannah’s hand trembled, but she didn’t make a noise. Simon clenched his jaw, unable to tear his face away from Hannah’s wide, terrified eyes. Want more? Buy Torn Asunder on amazon now. And remember, all book sales today will be donated directly to Liberty in North Korea, a group committed to seeing North Koreans achieve their freedom in THIS GENERATION. Want to help spread the word? See below to click and tweet, or share this image on your timeline. Then be sure to scroll down to enter the giveaway for a chance to win a $100 gift card, surprise grab bag ($60 retail), great CD from Cherie Norquay, and free prizes to everyone who enters! And don't forget to leave a comment and tell us what you think of Hannah and Simon and those like them who sneak into hostile mission fields to share the gospel. Or copy and paste into an email or Facebook status: Torn Asunder is a new Christian suspense novel by Alana Terry about two North Koreans who serve as undercover missionaries. It's on sale for only 99 cents, and all book proceeds today will be donated to Liberty in North Korea's underground railroad for North Korean refugees. Did you help spread the word? Click below to claim your prizes! 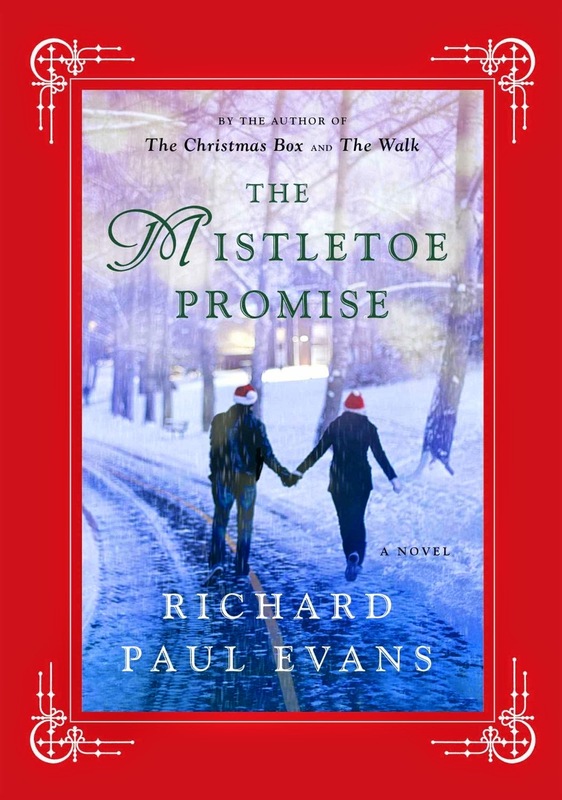 A love story for Christmas from the #1 bestselling author of The Christmas Box and The Walk. THE MISTLETOE PROMISE is such a sweet book. I love the premise, and of course, any book written by Richard Paul Evans has to be good. I enjoyed getting to know Elise and Nick and living vicariously their eventful holiday romance, complete with all their dates, parties, and interactions with co-workers and an ex-husband. The only things I didn’t like about this book are: There is no faith message. Zip, ziltch, none. But then it isn’t really an inspirational romance. It is mainstream. I guess I just read so much inspirational fiction I expected this to be one. The second is also to be expected in mainstream fiction… the heroine drinks to get drunk. Again, I didn’t like that. But this is my Christian beliefs, my opinion only, and it won’t bother most of America. Otherwise, I totally loved THE MISTLETOE PROMISE to the point where I’m going to say I checked this book out of my town’s public library. I’m under absolutely no obligation to review this book, feature it on my blog, or promote it in anyway. But I am. And not because I have a shortage of people expecting or wanting promotion on my blog. But because this was a simply great read and even though it is mainstream I loved it. Warning: The secrets revealed in this book are tragic and may be difficult for some readers to move past. 272 pages. Available in ebook, hardcover, audio download and cd. In "Once Upon a Jingle Bell," A Bah! Humbug cruise to the Mexican Riviera is Joss Snow’s answer to this year’s quest to avoid the holidays completely; at least until she’s rebooked on a different kind of cruise altogether. Candy canes, holly wreaths, reindeer and ornaments seem to be stalking her on the12 Days of Christmas holiday cruise extravaganza. An escape back to land is her only goal . . . until she meets a kindred spirit in rugged Irishman Patrick Brenneman, and then the game is on! Avoid Christmas festivities at all costs . . . except maybe for that one stop under the mistletoe. In "It Came Upon a Midnight Deer," Reese’s guilt over abandoning best friend Joss on their holiday tradition of avoiding all things Christmas is trumped by the joy of her recent engagement. Meeting Damian’s family for the first time on idyllic Sugarloaf Mountain is about as far from that Bah! Humbug cruise as she can get, and Reese can hardly wait to get there. But from the moment they hit that deer in the road just two miles from the cabin, everything seems to go wrong. There are no drummers drumming or pipers piping this particular year! And once she sets her future in-laws’ family cabin ablaze, she’s pretty sure there won’t be even ONE golden ring in her future! My thoughts: This was a quirky read and really a comedy of errors. Interesting premise. Damian was sweet and a lot more patient with her than I would be. MERRY HUMBUG CHRISTAS has two stories in one. I liked the first one better. I love Ms. Bricker’s books. 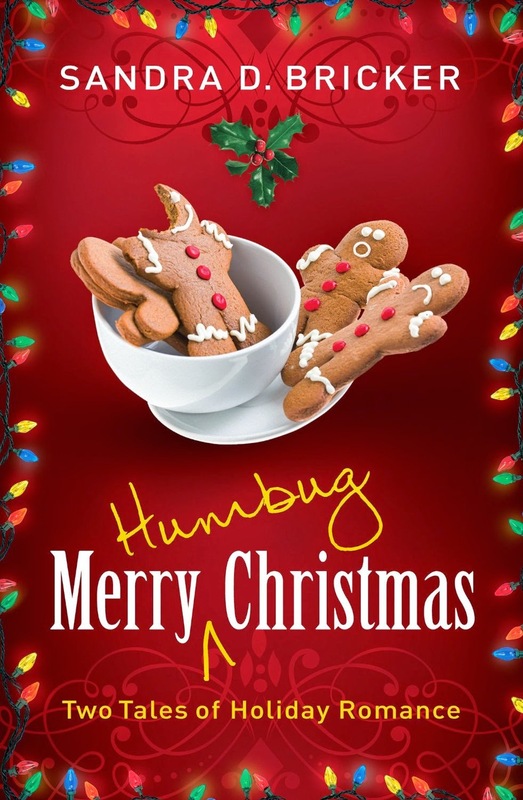 If you like romantic comedy, you will love MERRY HUMBUG CHRISTMAS. 304 pages. Available in ebook and paperback. The 12 Brides of Christmas! You're invited to a Christmas wedding...that is twelve of them! Discover the joy of an old-fashioned Christmas romance with these twelve heart-warming stories. Brand-new stories from renowned inspirational fiction authors that take you into the heartland of historical America will release each week starting October 6. Author note: The earlier version of this story had some errors that occurred during the electronic conversion. My publisher has fixed the problem. Thank you for your patience and kind understanding. When Texas ranger, Chad Prescott, wakes up from a gunshot injury in Kansas, he finds himself surrounded by German nutcrackers and nursed by the feisty Lucy Langdon. Could this be the start of a beautiful friendship or just a bad dream? My thoughts: Margaret Brownley is another of my favorite historical authors. I absolutely loved THE NUTCRACKER BRIDE. I thought Lucy’s character was beautifully done and I couoldn’t help but fall in love with Chad. I wanted to see these two get together. Great Christmas novella. 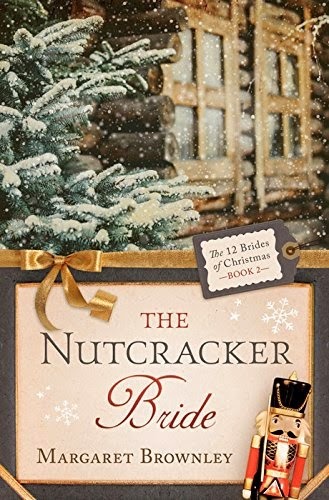 The three stories I read in this collection were stellar (this one, The Christmas Star Bride, and The Gingerbread Bride.. Don't miss THE NUTCRACKER BRIDE. ...have yourself a Cozy Little Christmas! Chiapas, Mexico, had proven to be the distraction and escape Julie needed. As a teacher, she had longed to travel and instruct abroad. Now, she was teaching and falling in love with her students. But what she didn't expect happened in the short days leading up to Christmas. She didn’t know that her freedom would depend on Ramon, the local pastor. She didn’t anticipate the emotions this man of God would stir deep in her spirit. This Christmas Eve service would be unlike any other she had ever experienced. 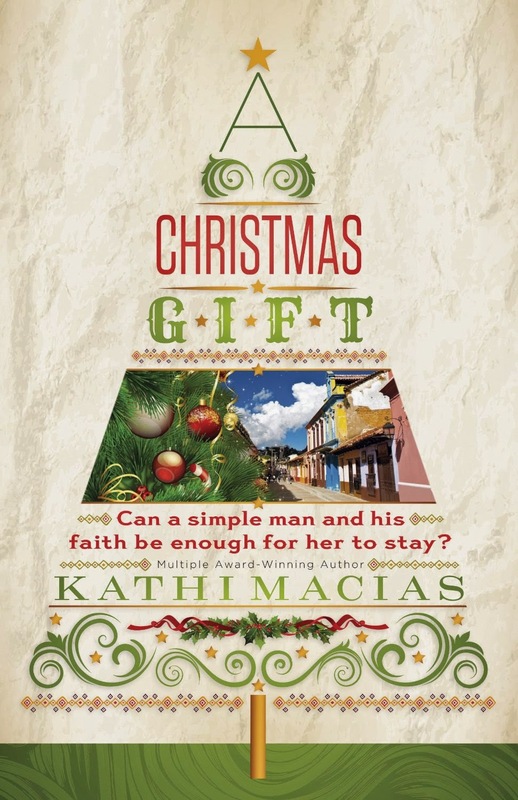 Would this simple man and his faith be enough to cause her to stay when she had every reason to leave? My thoughts: Julie is a heroine my age whose husband tragically dies, leaving Julie alone—except for her two college-age children. She is in depressed and after she gets home from work (a school teacher) she cries a lot. Her family want her to “get out more” to do something to get over her depression, but when she finds what she wants to do—teach school in Mexico—everyone is against it. This was a realistic story that was alternately heart-pounding scary, heartwarming, and heartbreaking at times. I was glad Julie found a purpose, but I also understood her parents’ and children’s objections. A great Christmas story, for keeping for yourself or for giving as a gift. Available in print and ebook. 224 pages. 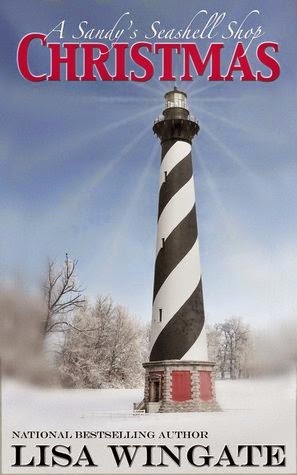 My thoughts: A SANDY’S SEASHELL SHOP CHRISTMAS is a sweet story that had my heart breaking for Tiff, swelling with love for her sweet little son, Micah, and leaves us with hope for this struggling dual. A story of healing and hope. Highly recommended. Thanks, Therese for visiting me on my blog today. It hasn’t happened yet. That’ll be the day Jesus takes me home. Other than that, pretty much every day I’m alive is happy, even when things are bad. And no, I haven’t always had this attitude. I’ve had to force myself to think this way. Yes, sometimes it is a daily struggle. What are your hobbies, besides writing and reading? You mean there’s life outside of books? I love to craft. Cross stitch, scrapbooking, teaching crafts. I try to incorporate a craft into every lesson I give when I teach the children at church. I admire people who are talented with handcrafts. I'm so not. What is your most difficult writing obstacle, and how do you overcome it? Making myself write. I have to force myself. Some days it works, some days, not so much. I mentor a group of young writers, and I tell them the same thing. WRITE. READ. Get together with a group (we’re blessed that we’re face to face) to get feedback on your work. And don’t confuse school writing with good fiction. Annabelle Archer has been crushing on Rick Stockton for years. And now, when he notices her, it’s only because her brothers and sisters make it impossible for him to miss her. Annabelle still hasn’t decided if God’s will means she spends her life taking care of her six siblings, or if He has more in mind for her. Rick Stockton doesn’t mind that church activities and Annabelle’s brothers and sisters keep throwing Annabelle and Rick together. He just isn’t sure what it means. But as the kids keep trying to turn Rick into a snow angel—with sugar, baby powder, and more—he’ll work on figuring it out. Spending time with Annabelle’s family gives Rick a longing for one of his own…and an idea to make it happen. 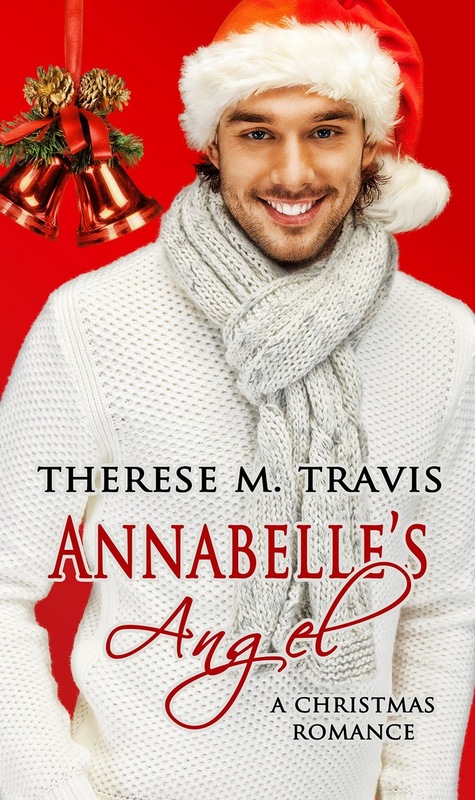 This Christmas, Annabelle may just find there’s a special angel in her corner, one that will stick around for a lifetime. Is there one particular message or “moral of the story” you hope readers walk away with? God has a plan for each of us, and it’s not always what we expect, what He has planned for others, or what others think is out plan. How did Annabelle’s Angel get started? Oh, cool story. My best friend had temporarily lost her license, and I drove her to the DMV to get it reinstated. To distract her, I asked her to help me brainstorm my next Christmas story. She wanted it to be Victorian (it is, in a way) and she chose Annabelle’s name. But the most important part was the grandmother who didn’t or couldn’t drive. Other than that one issue, Annabelle’s grandmother is nothing like my friend! That is a cool story. How do you see yourself in your character’s story, if at all? I always end up learning the lesson I’m trying to write. I’m pretty sure God is laughing as He gives me the idea, and here’s me thinking it’s all from my own head, and He says, no, it’s from Me. Will we know what happens to your character after the end of the book? I hope so. Annabelle learns a lot, and starts to use her gifts the way God intended. When you’re working on a project, how do you keep the immensity of it from getting you down? I tell myself to take one small bit at a time. How do you choose between ideas you’d like to write about? I don’t! I have six or seven stories going right now. I just work on whichever one I miss the most, whichever one excites me the most, or the one that my crit group has been working on (sometimes) and I want something critiqued. I can't imagine doing more than one at a time. I get too confused. Both of your lead characters have “baggage” that keeps them from wanting to pursue a new relationship. Do you think sometimes we let our past get in the way of what God has planned for our futures? Always, always, always. And in fact, that’s largely what Annabelle’s Angel is all about. Therese Travis is a wife, mother, grandmother, follower of Christ. She's been writing stories since the age of eight, and "telling stories" (you know what that means) since long before. She finally figured out how to put those stories onto the page. She loves to talk about Jesus and His love for us, about her family, crafting, writing, and praying. The 12 Brides of Christmas! You're invited to a Christmas wedding...that is twelve of them! Discover the joy of an old-fashioned Christmas romance with these twelve heart-warming stories. Brand-new stories from renowned inspirational fiction authors will take you into the heartland of historical America. Releasing each week starting October 6, you'll want to read them all. Esther Hathaway lost her one true love at Gettysburg twenty years ago, but she is still willing to celebrate her niece’s wedding by commissioning Jeremy Snyder to paint her portrait. Will Esther's prayers for God to ease her loneliness be answered by a wounded vet? My thoughts: Amanda Cabot is one of my favorite historical authors and I’m glad she sent me a review copy of this story. Only 45 pages, it is a quick read. I enjoyed getting to know Esther and Jeremy and their stories. I thought Esther was a very sweet woman and I could tell why her niece loved her so much. I also felt for both Esther and Jeremy when they lost everything they dreamed of thanks to the War Between the States. I wanted them to find happiness. This was a great story. 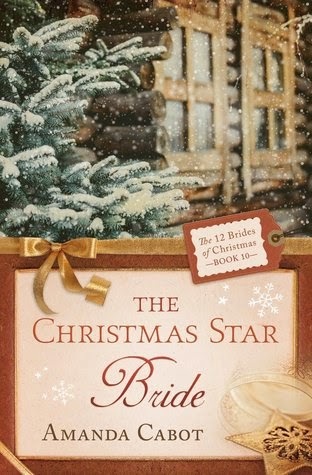 If you are looking for a good Christmas novella, you’ll want to read The Christmas Star Bride. 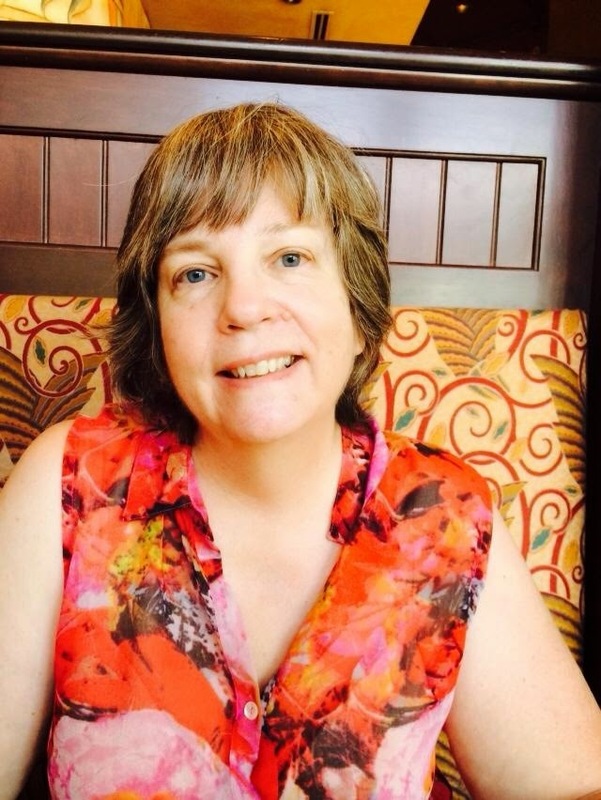 Interview with Anita Higman and Giveaway!! !